Five weeks. In some ways I can't believe it's already been 5 weeks since Quiz's injury. in others - it feels like I've been living under a cloud of concern and caution for so, so much longer. The basic update on Quiz is great. He continues to be an incredibly calm patient and giving his body every chance to heal. Updates from the hospital are starting to slow, which is a good thing as it means we are also starting to exit the window of reall-scary-complications. Last week, we took a second set of films (essentially one month post-op) and discovered that Quiz broke one of his pins up in his cannon bone. My heart sank when I hear that, but then the surgeon quickly followed up with "that's good, that means the pins are doing their job. He's using them. They are taking the load we want them to." But broken pins can't just hang out, so quiz was prepped for anesthesia again, and they went in for repair. To minimize his movement and disruption, Quiz got laid down in his stall on a big recovery mat and they removed the transfixion cast in order to access the pins. 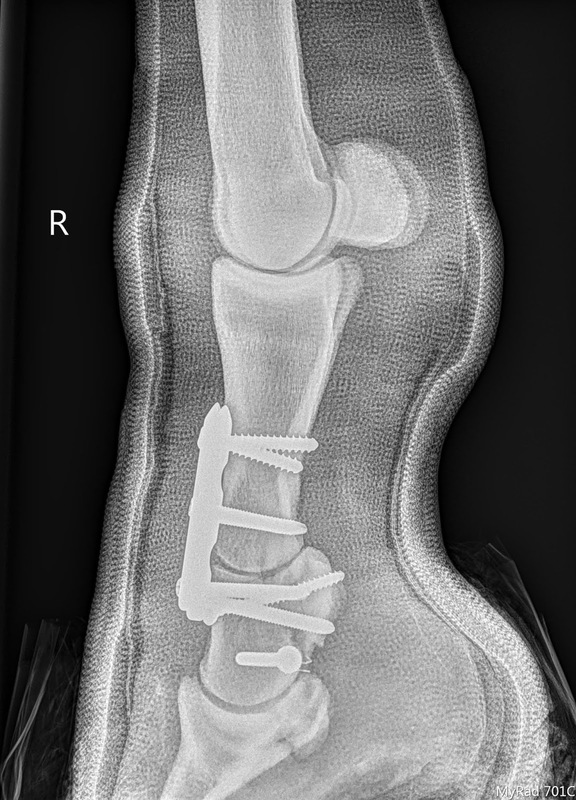 Broken pin was pulled, a new one was inserted in its place and a new transfixion cast was applied. It turns out that this was probably a great thing - as Quiz was starting to develop some cast sores, and adjusting the cast helped address that. The foot was also placed ever so slightly different, so as to load the joint at a new angle and help encourage all the bone remodeling. from a healing standpoint, things look great. The implants are holding, the P2 is knitting back together, and perhaps the most significant news is that so far there are no scary chips or jagged edges raising any alarm yet. Quiz is adjusting to his new life. He learned how to sleep in the sling and slump into it, giving both his front legs more of a rest. Just in the last week or so, Quiz has been getting to lay down at night and get out of his sling entirely. Apparently taking them out of the sling is very dependent on temperament and how careful the horse can be when getting up/laying down on their own. Quiz has been gentle with himself, and has even figured out how to wiggle over to the wall in order to use it plus his good front leg as support when getting up and down. To be honest, I'm starting to get my hopes up. He looks so good, and so normal and is acting so calm, it's difficult to make myself remember how damaged his limb is and how questionable his total recovery still is. So for now, I sit and wait. Quiz probably has one more week in the transfixion cast with the pins before we recast without the pins and start considering next steps. I've booked a plane ticket to go visit in about 10 days and am hoping that I can use that visit to start mapping out what the next phase of his recovery will look like. In the mean time, I'm grateful his lazy, lazy, lazy demeanor is serving him so well. That is amazing news! Solo was in the hospital for a 7 weeks & I can definitely attest that their temperament really is such a huge factor in recovery. The ones who seem to understand help & who can remain patient with constant "harassment" of treatments make their chances so much better. So great to hear the recover is going well - if you want to meet up for empathy tacos and margaritas let me know - I think you still have my email address. Windsor is a 2008 Selle Francais who we brought home in late 2015. Previously he was an approved stud and made the rounds (slowly) at 1.40m. He currently splits his time between galloping the big Derbies with my trainer and babysitting me in the A/O's. Quiz was imported in 2017 with the idea of being a temporary second ride and eventual sales horse. he spent 2018 sweeping the 3' and 3'3" Green divisions as well as winning multiple Derbies. 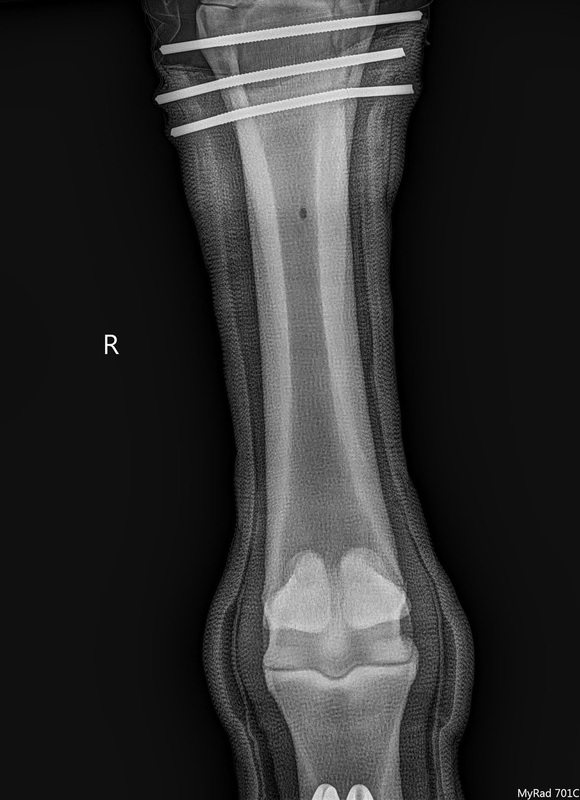 A shattered lower pastern has us holding our breath for what comes next. 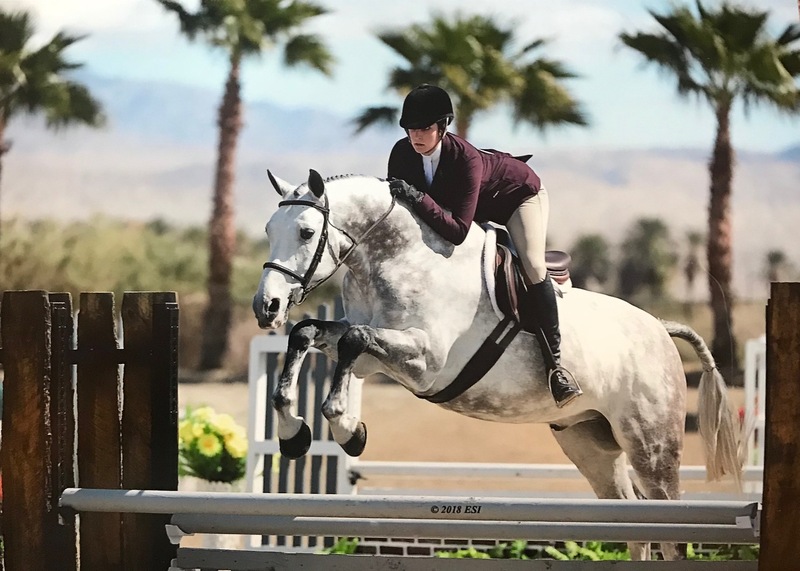 Prairie is a 2005 Elite Hanoverian Mare (Londonderry/Weltmeyer). She's had two beautiful babies and early success in the Dressage Ring, followed by our foray into the Hunters. Now retired, she is back to making babies, first one scheduled for 2017! Gus is a fan favorite. An older Trakhaner with DDFT injury that sidelined him from his H/J career, he is a noble gentleman who is worth his weight in gold. After some love, rehab and lots of kisses, Gus moved on to his forever home in MI where he has a beautiful farm to call home and a girl to shove him full of treats. Pia is a 2003 Hungarian Warmblood who reintroduced me to horse ownership as an adult. 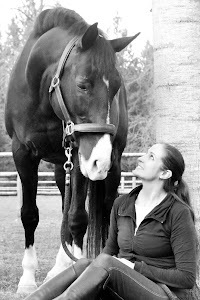 We spent four years together exploring everything from Dressage, to Mountain Trail, to a false Wobbler's Diagnosis and beyond. She's a very clever mare and is currently learning how to event with her new mom. This blog started as a record of treatments, setbacks and general adventures with Pia, my little red mare back in 2010. In late 2011, Prairie joined the team, with the idea of being the horse to get me back in the show ring. Initially I was pretty sure this would be the Dressage Ring, but both of us stumbled into Hunter Land and had a great time exploring a new discipline together, ultimately finding lots of success. Gus showed up in early 2013. We adopted him hoping to find a suitable job and he has since found a forever home and girl of his on in MI! Windsor is the current main man. a 2008 Selle Francais, he jumped around the 1.40m in Europe but was a little...slow. So now he's trying his hand at the Hunters and helping me learn how to move up. Finally, Quiz is a 2012 Brandenburg who wasn't supposed to be a permanent addition - but his sweet disposition, killer movement and unflappable brain made him hard to part with. he was unbelievably successful in 2018, but a shattered P2 has us all crossing our fingers for what the future holds. These days I seem to spend most of my time working a little and playing a lot. I value my time with good friends spent in restaurants, bars, boutiques and everything else a decent sized city has to offer. I cherish knowing a city inside and out almost as much as I enjoy escaping it to someplace with no cars and hardly any people. Horses take up a chunk of time, as does coaching.. It's a good life.